Let’s have fun with the assignments this week and involve your secret agent character in as many as humanly possible. 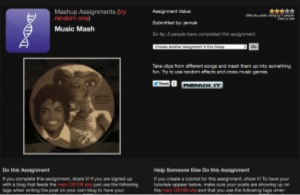 Mashups – Do 12 stars of mashup assignments. Don’t like the assignments? Make up your own! 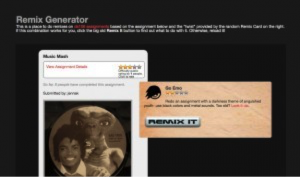 Can I make a mash up or remix from something that has been created for the class already?